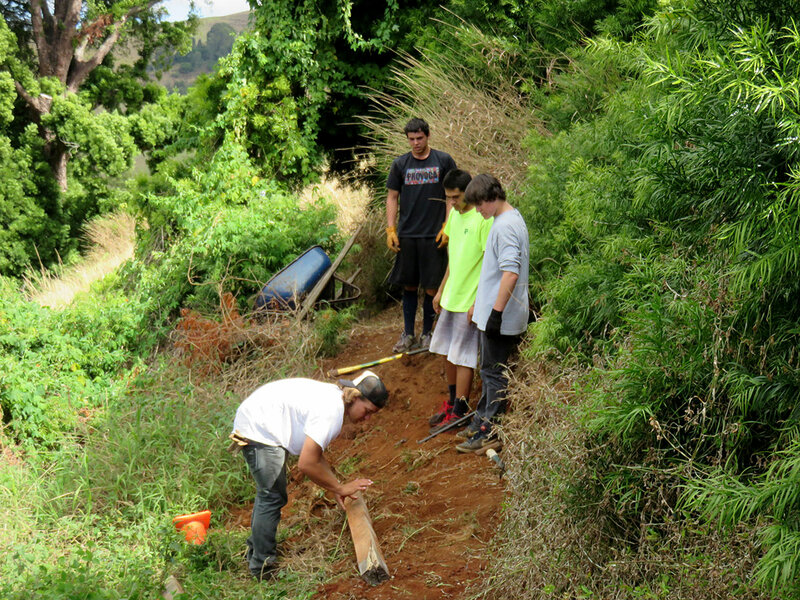 (Click to enlarge) Team leader Cody Wendt took the initiative to include trail repair for safe and easy access for mulch distribution. 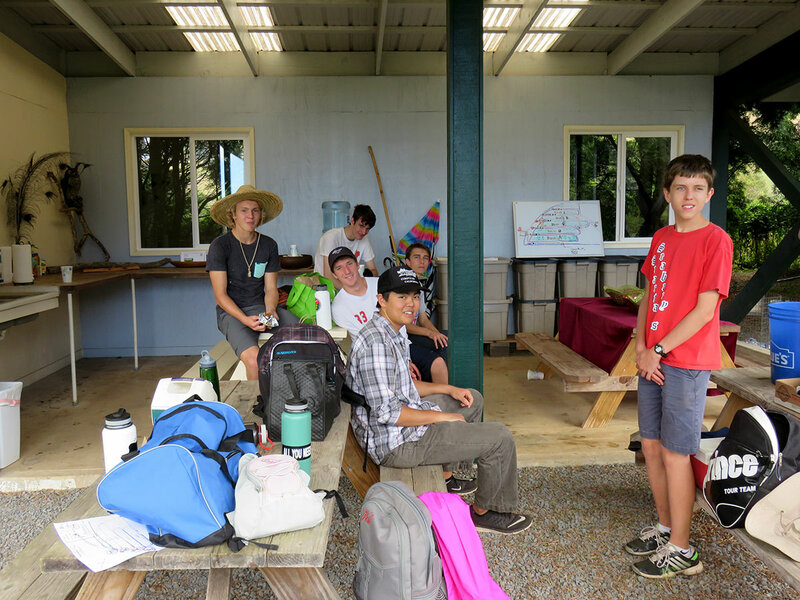 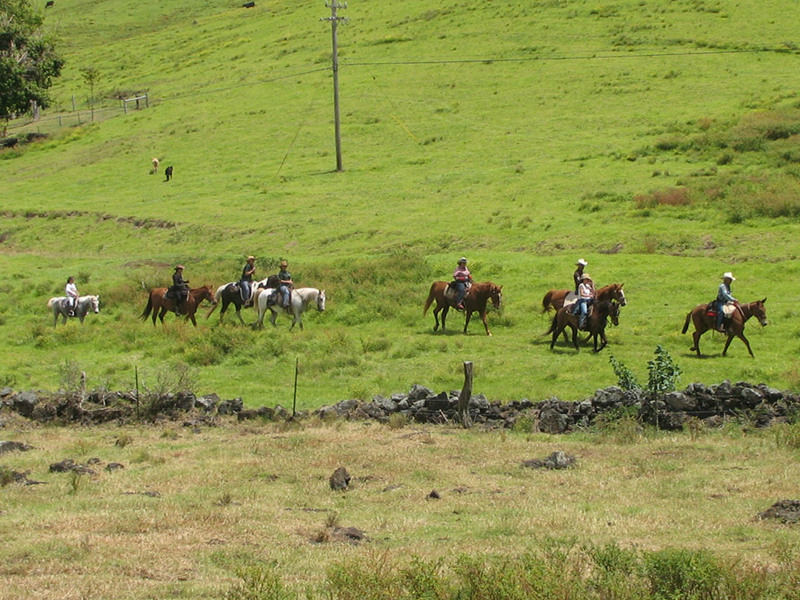 Pictured (left to right): Scout Weymouth, Kawai Lu‘uwai, Cody Wendt and Cole Christie. 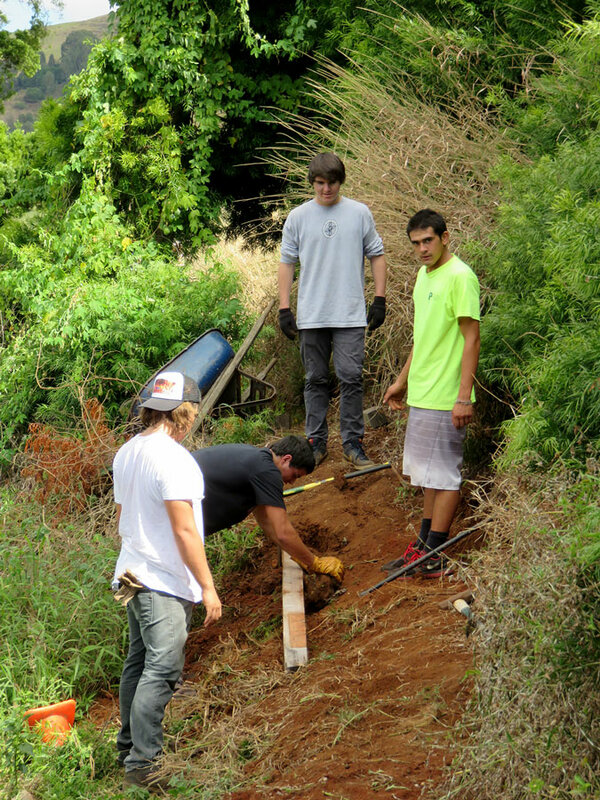 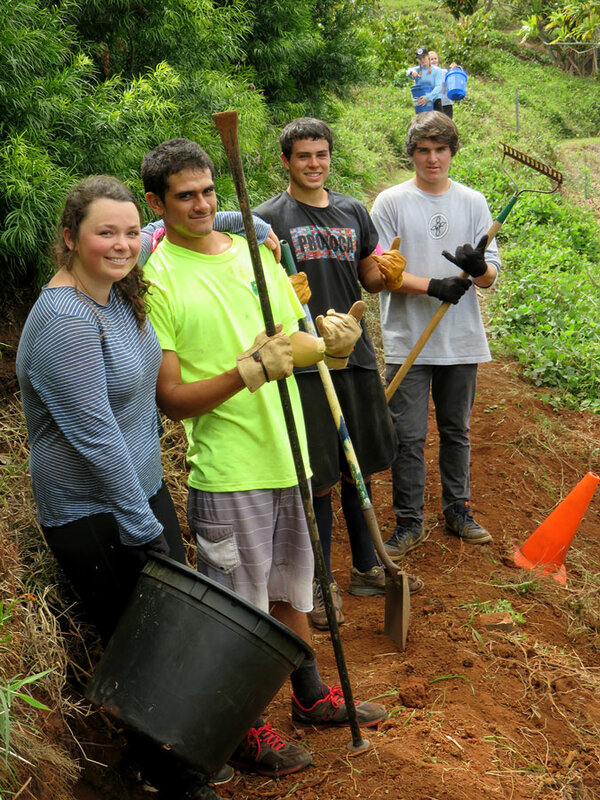 (click to enlarge) Promising, focused young adults accomplish a priority project at the DT Fleming Arboretum led by one of project Team Leaders, Jonah Adelman (in purple headband). 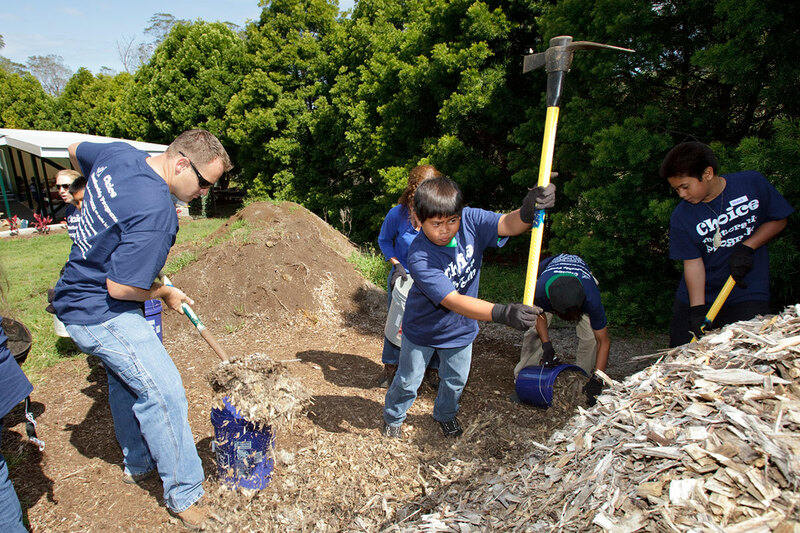 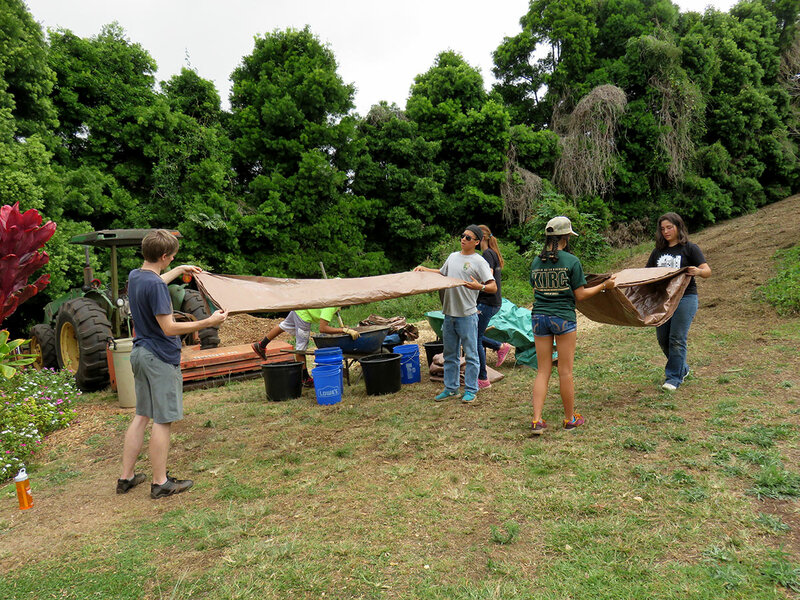 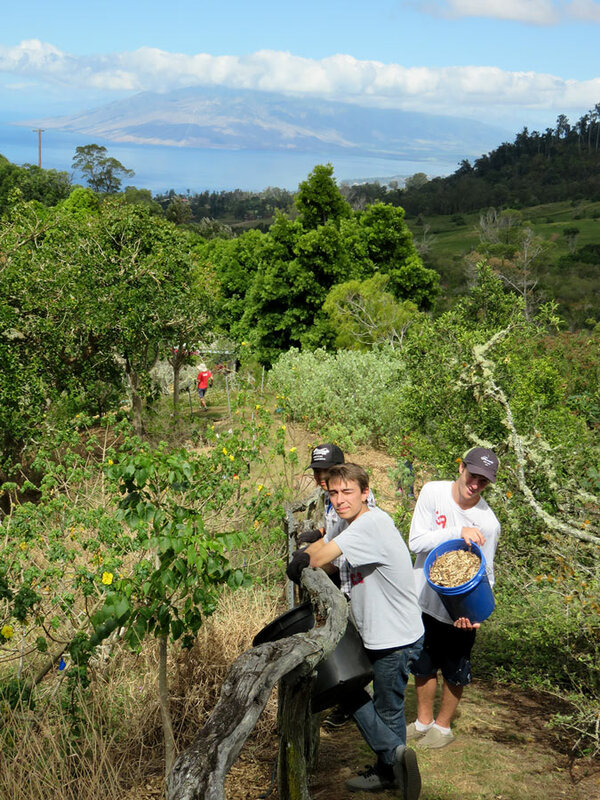 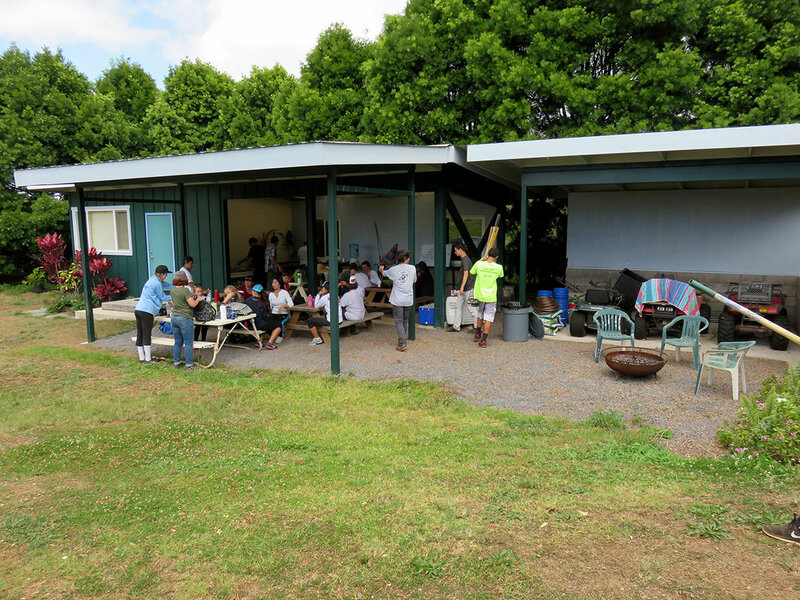 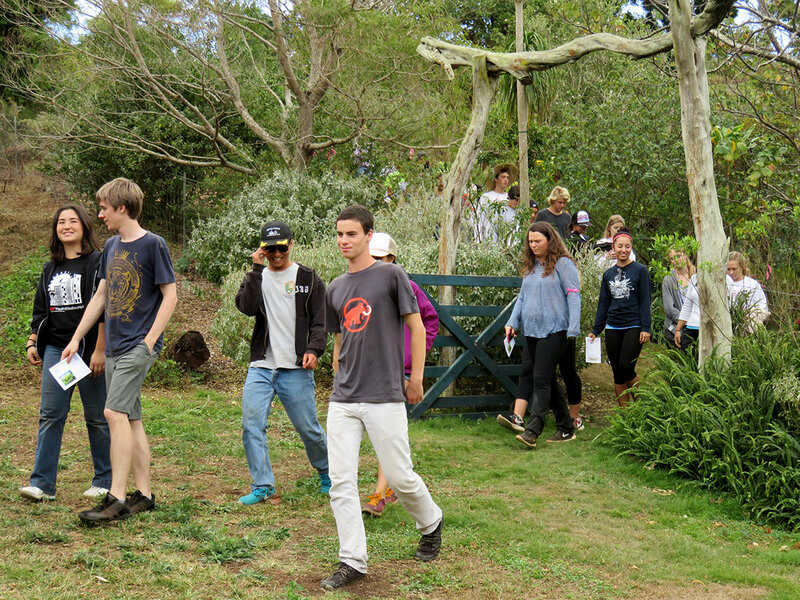 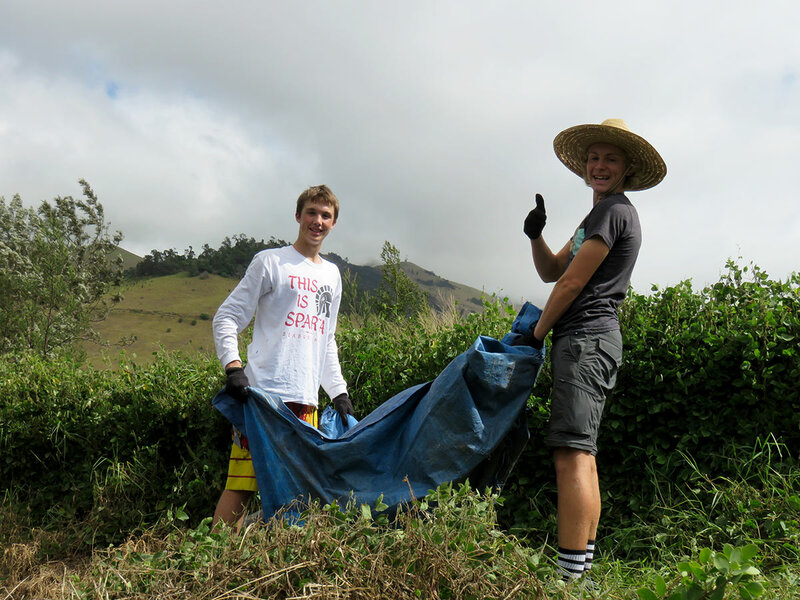 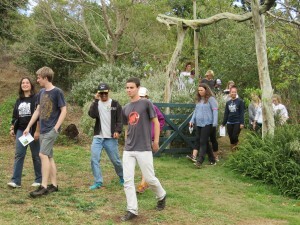 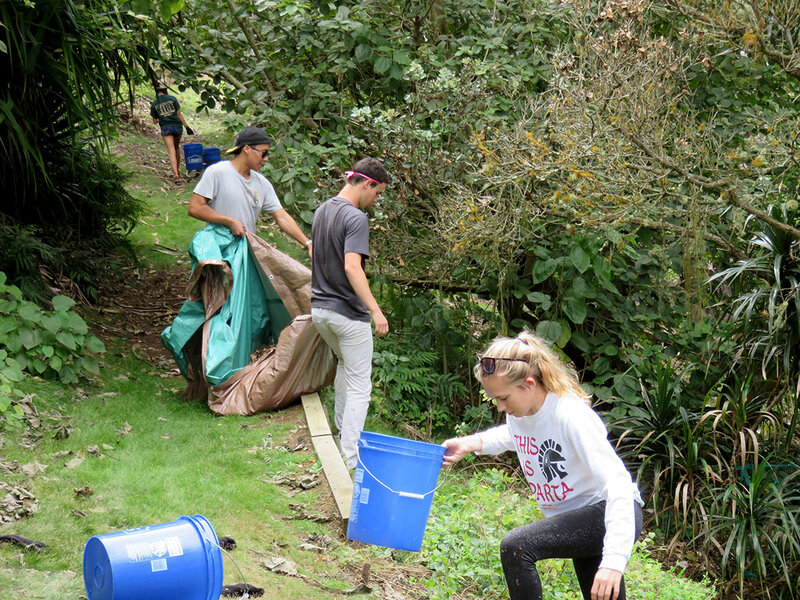 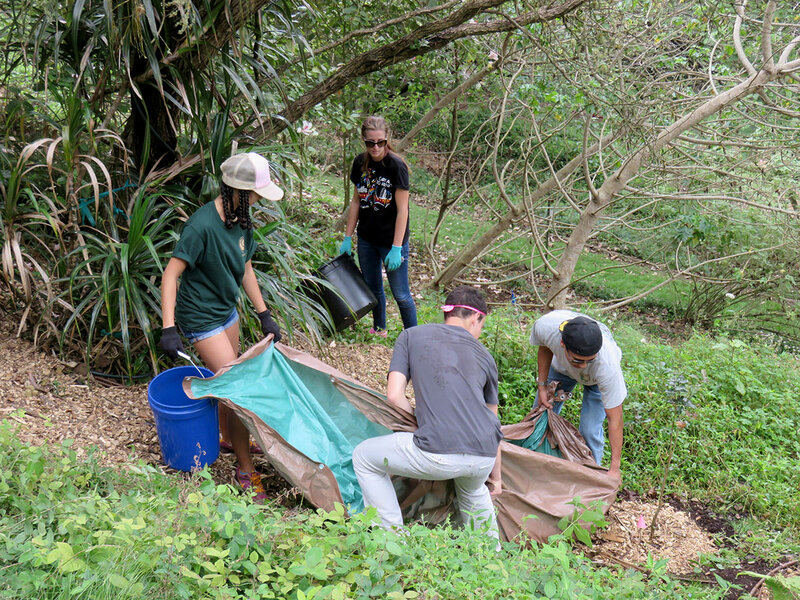 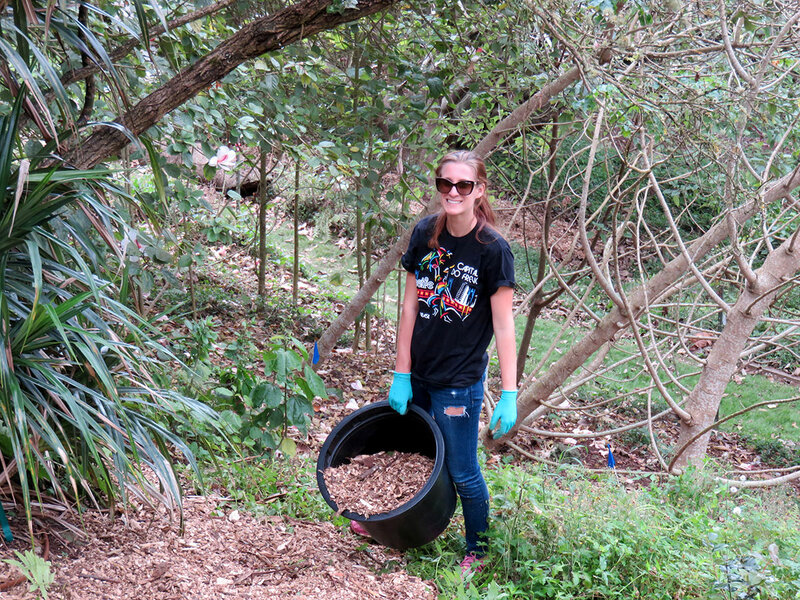 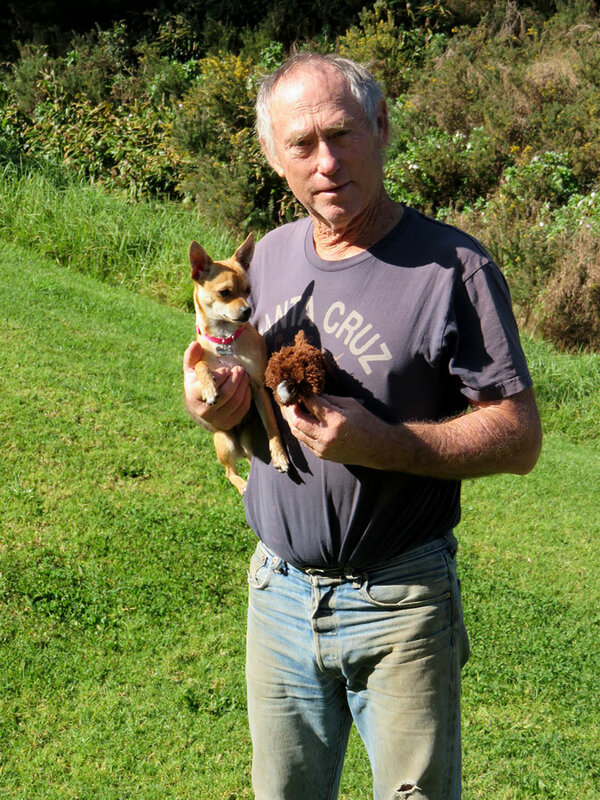 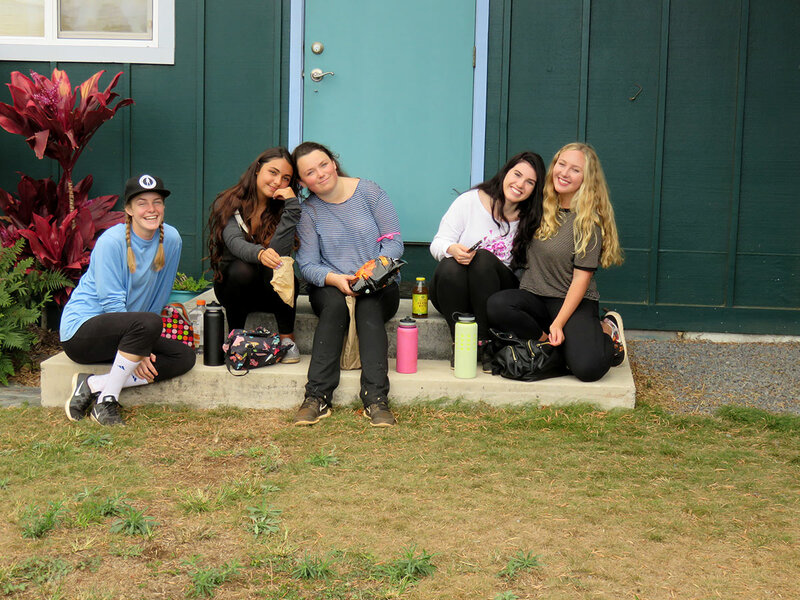 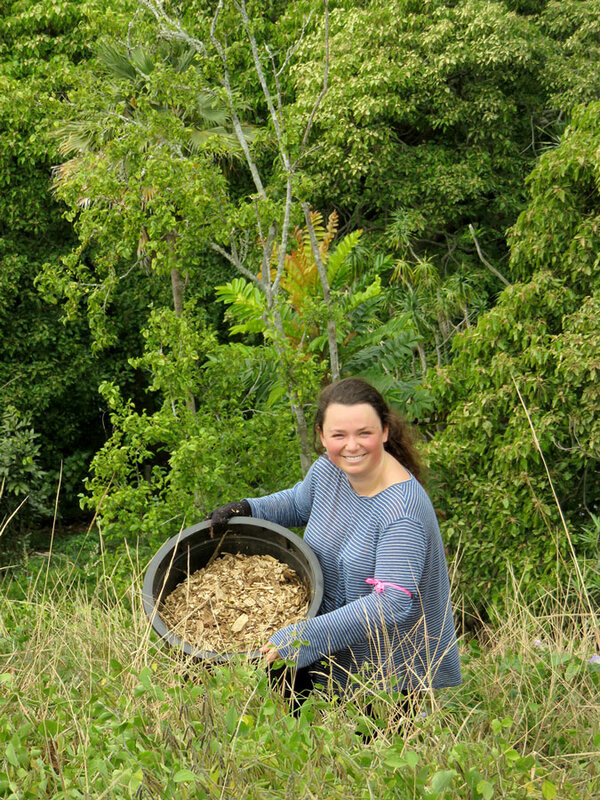 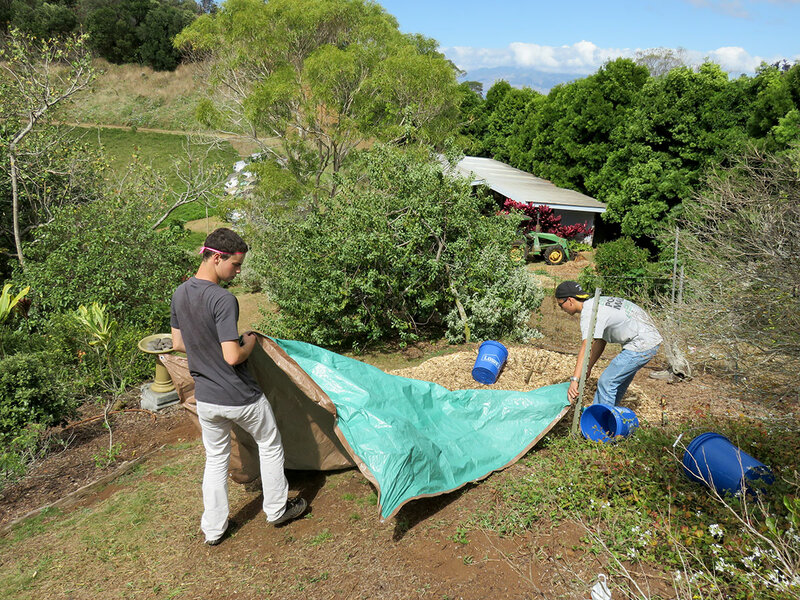 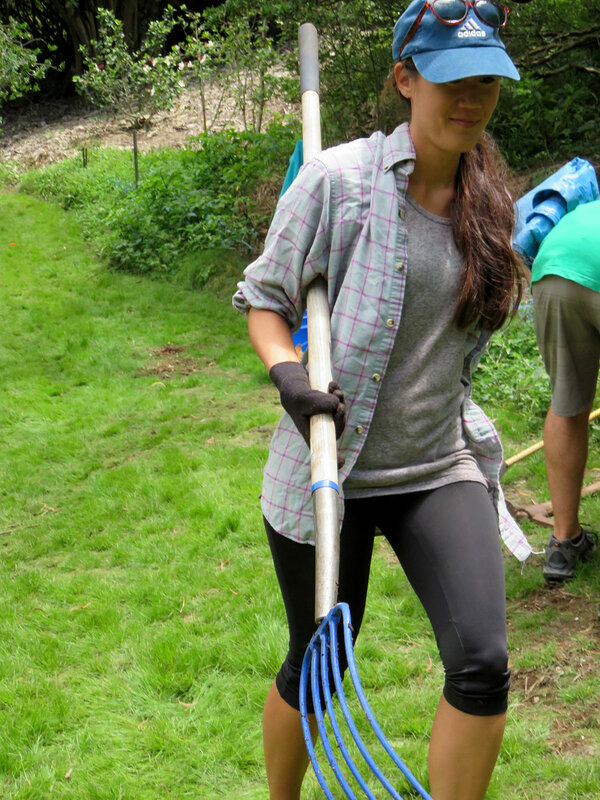 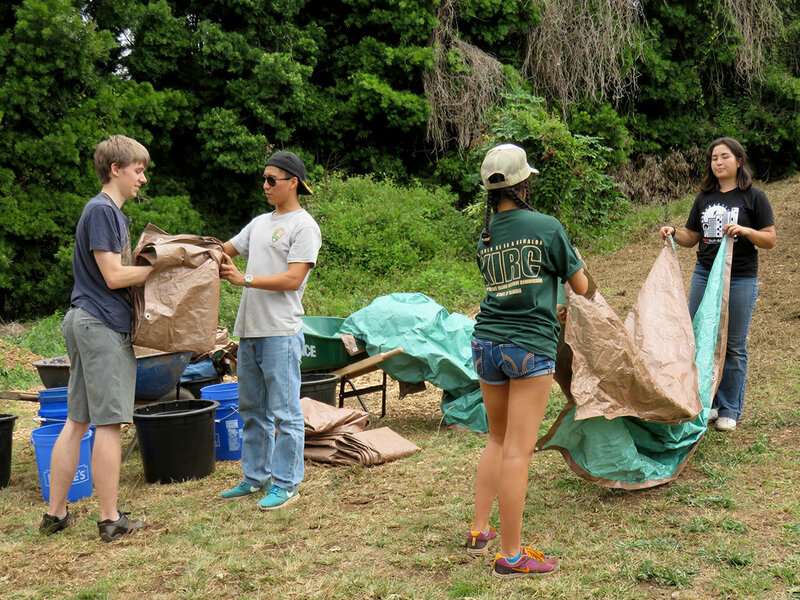 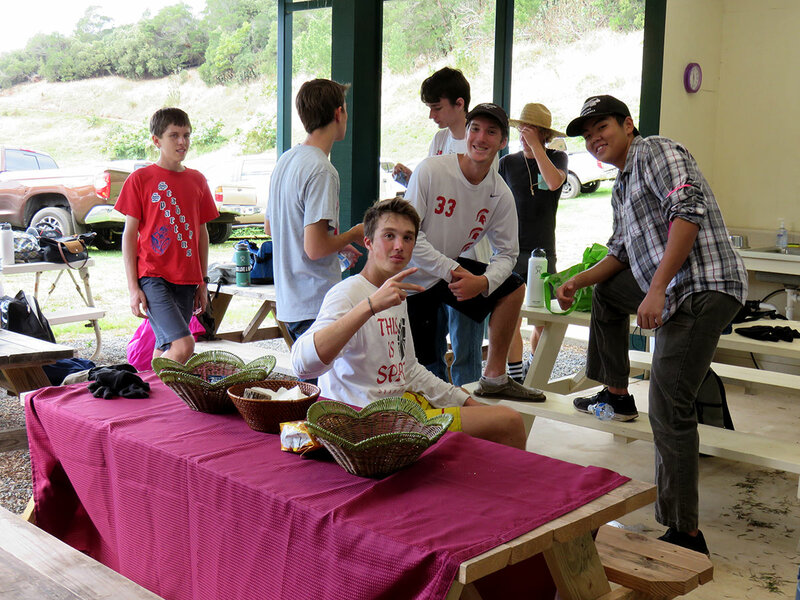 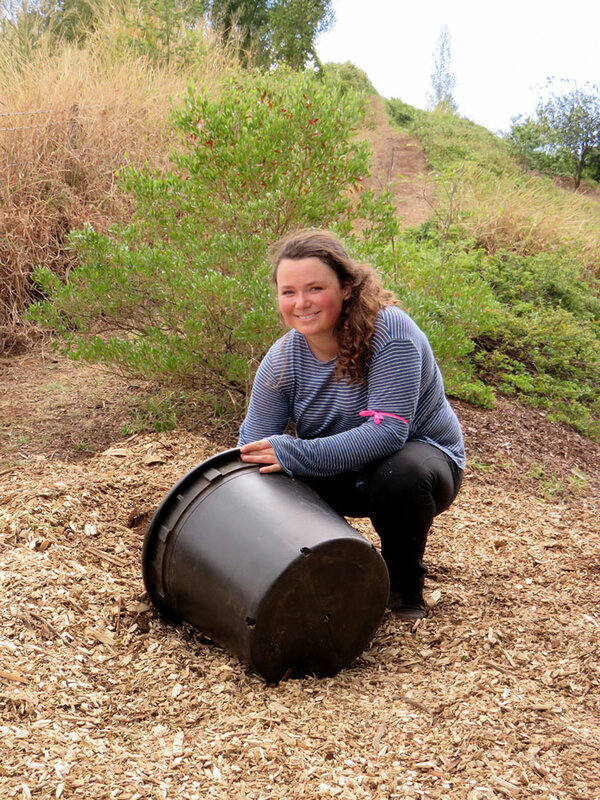 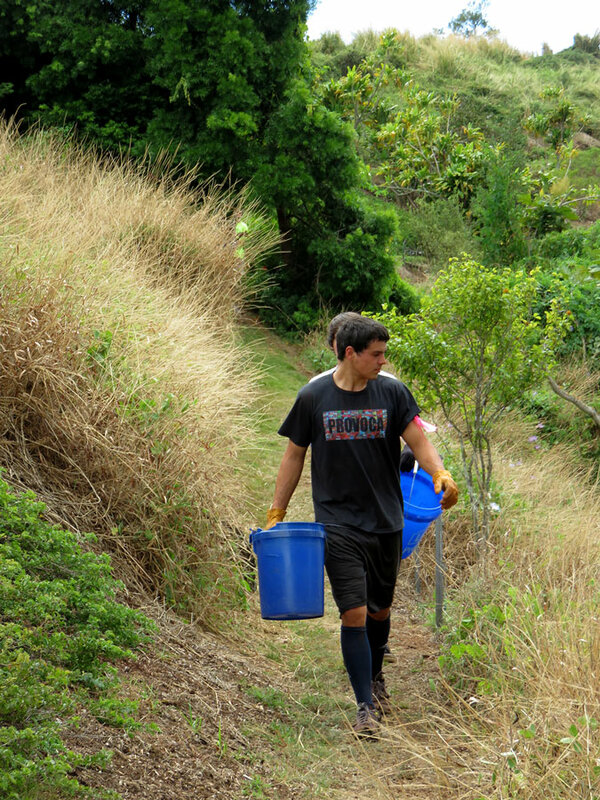 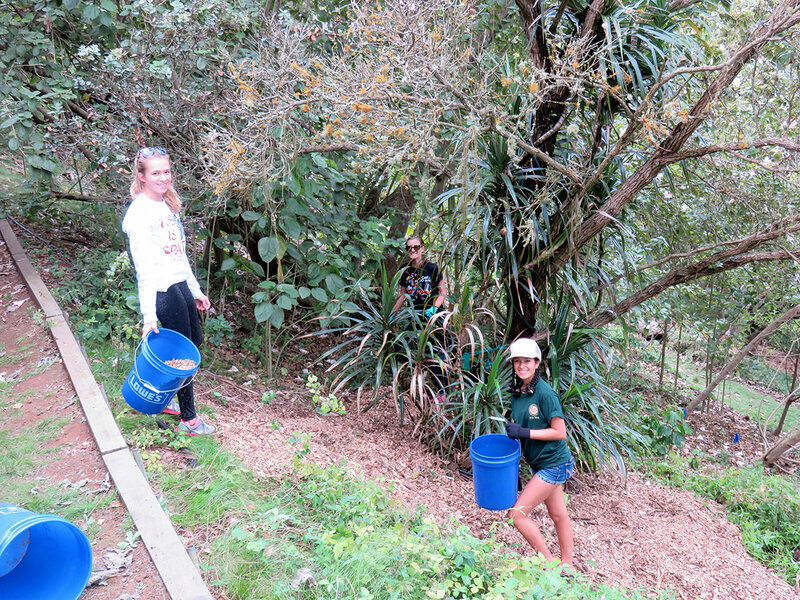 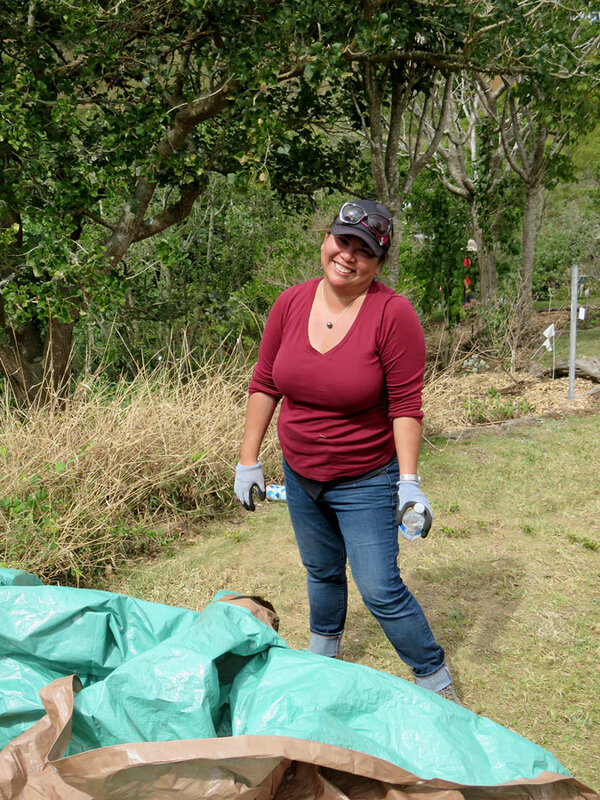 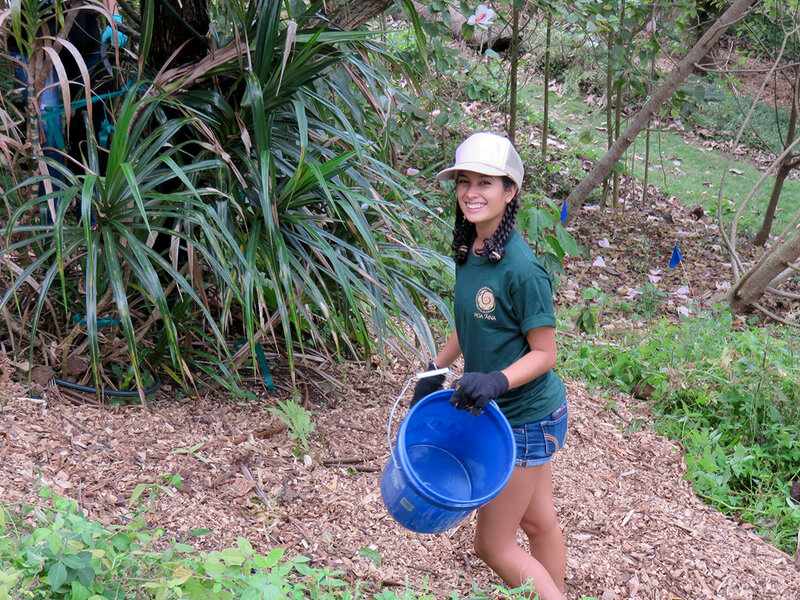 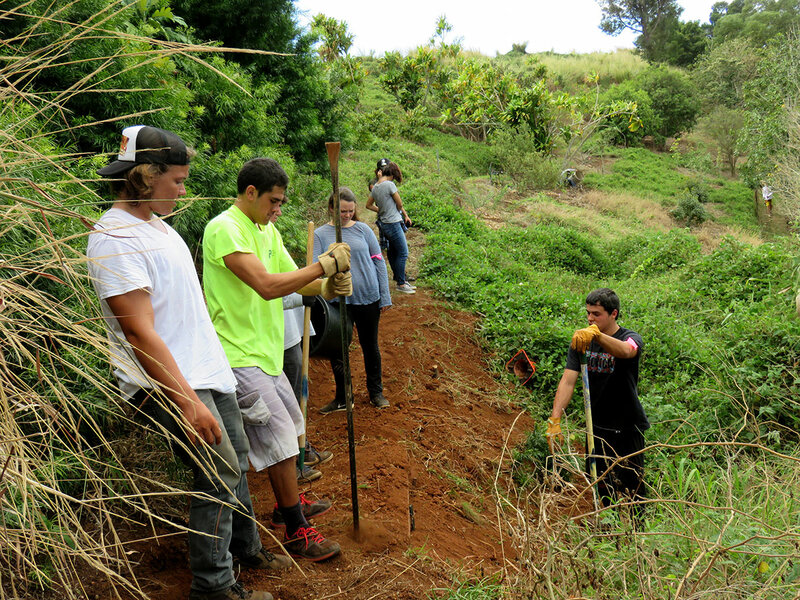 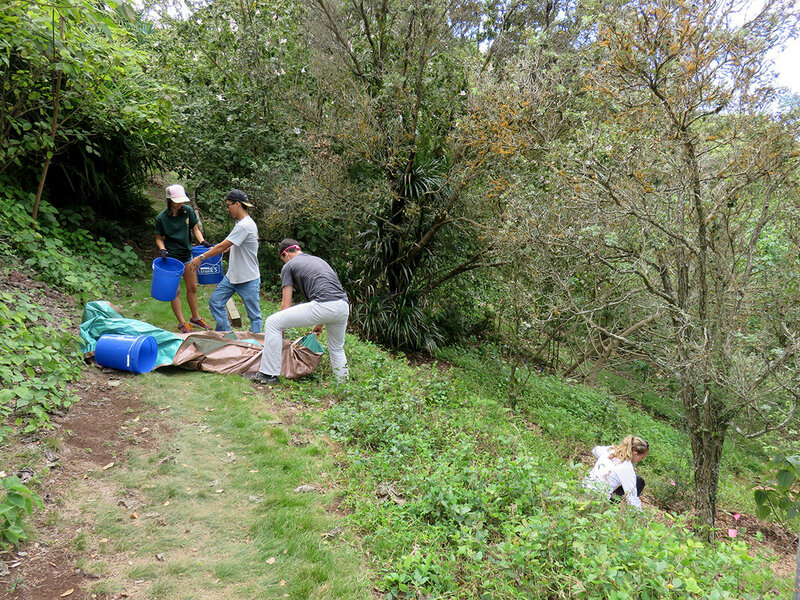 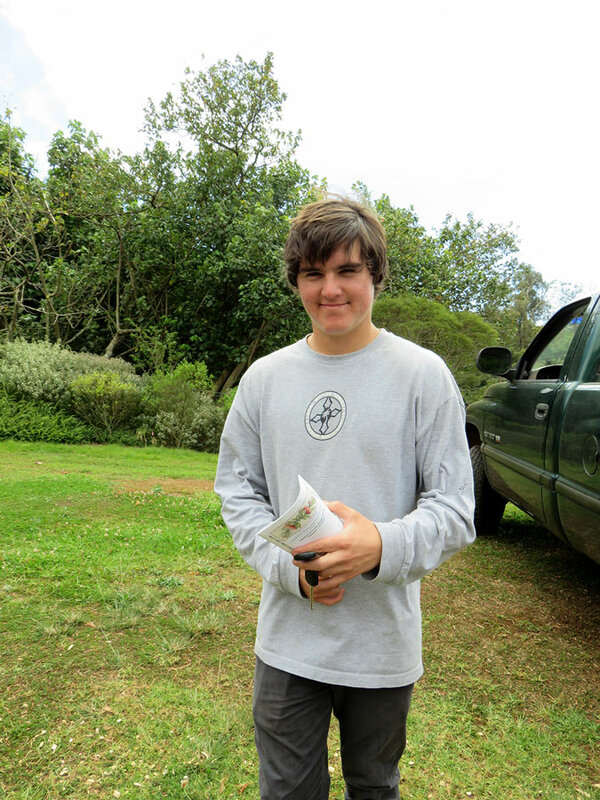 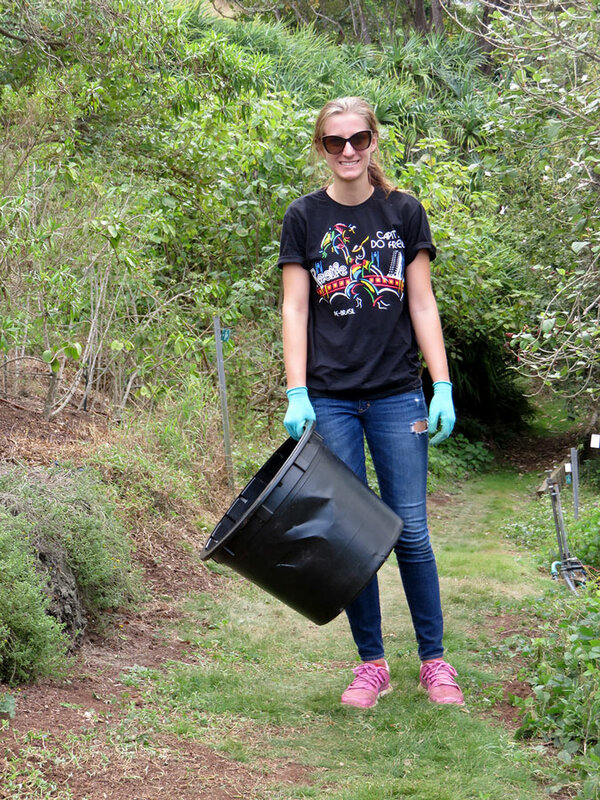 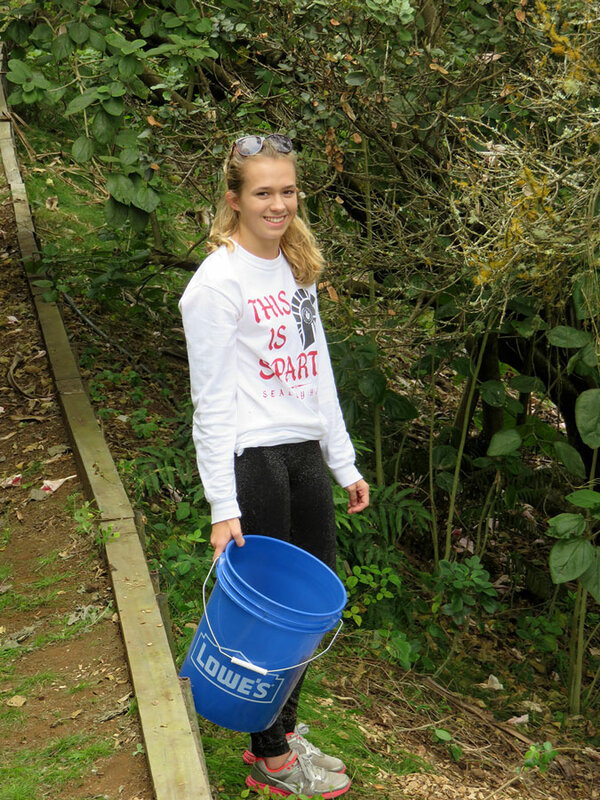 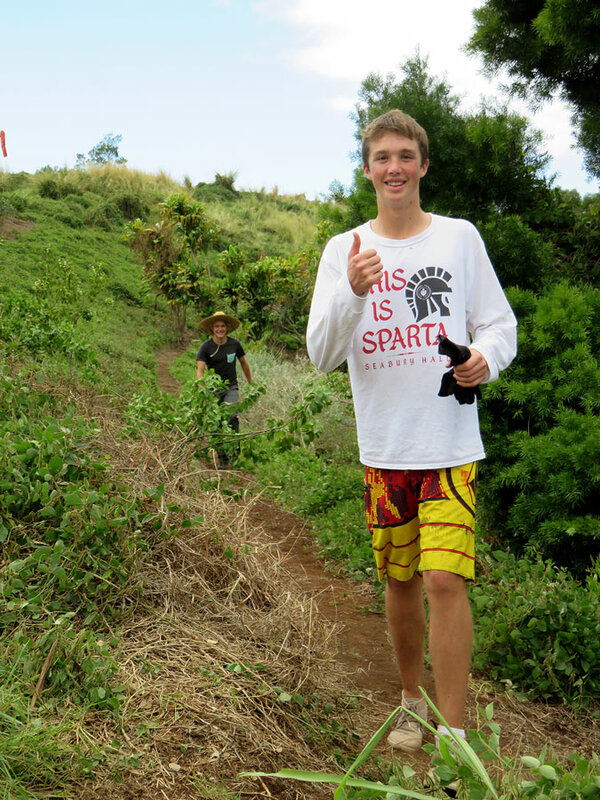 ULUPALAKUA- On Seabury Hall’s annual Community Work Day, Friday February 19th, 39 high school seniors spread wood chip mulch around the DT Fleming Arboretum’s native trees to control weeds, provide nutrition and help retain moisture. 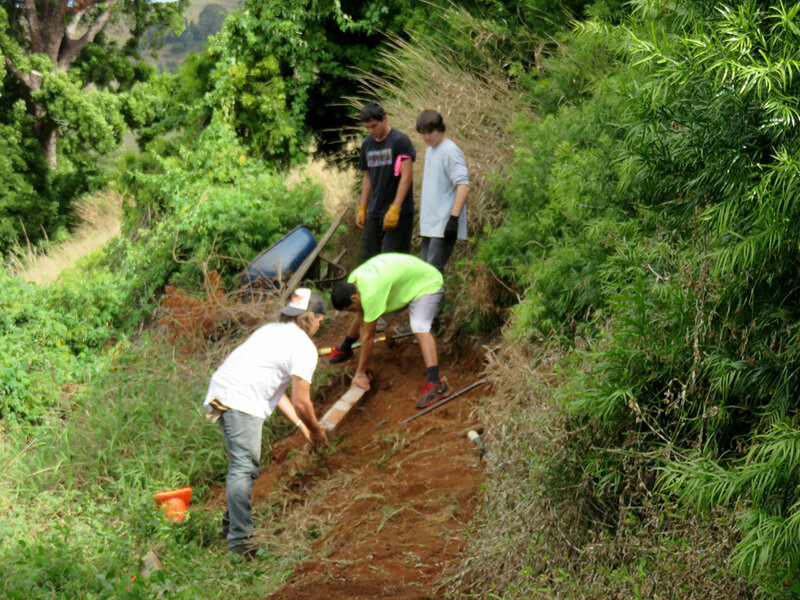 The volunteers divided into 6 teams, each with a Team Leader, to mulch 6 blocks of trees and included an impromptu trail repair for project access. 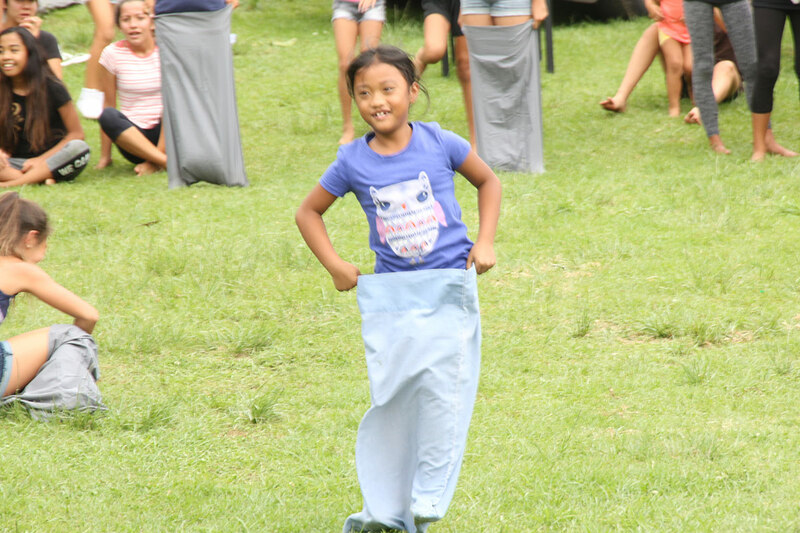 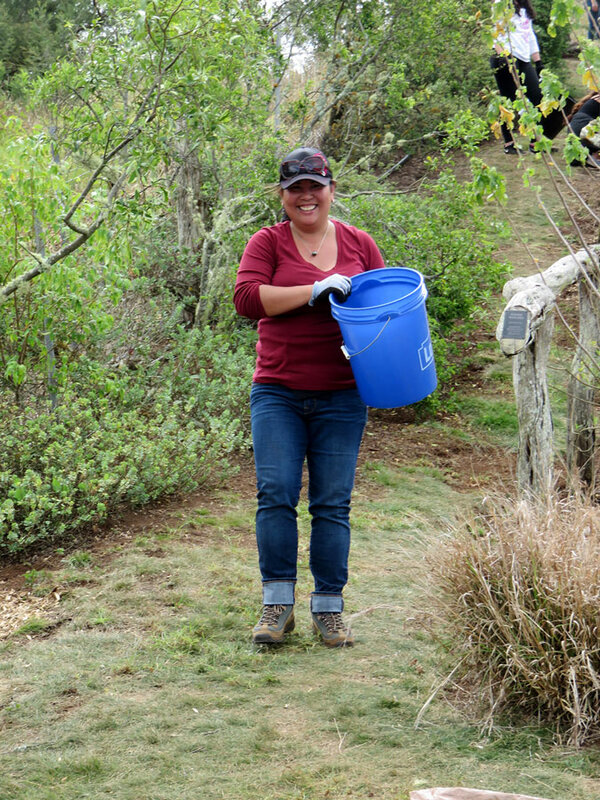 taking on the job with enthusiasm, doing their best, then working together to do even better.” stated Martha Vockrodt- Arboretum project manager. 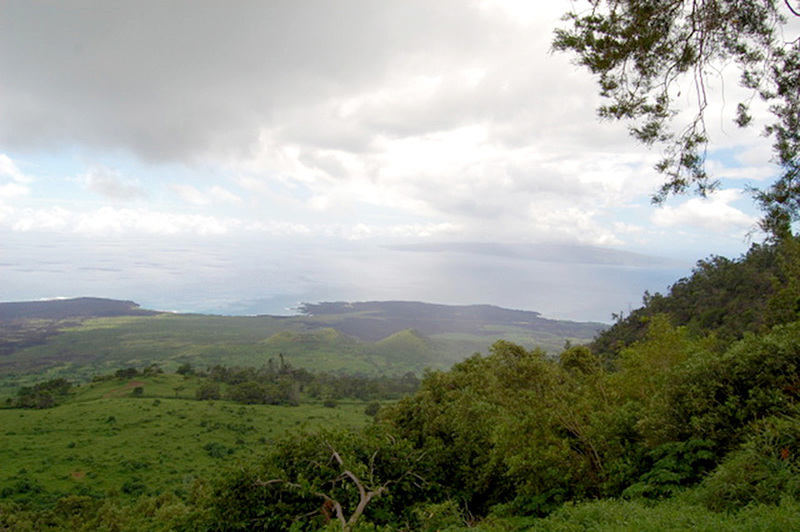 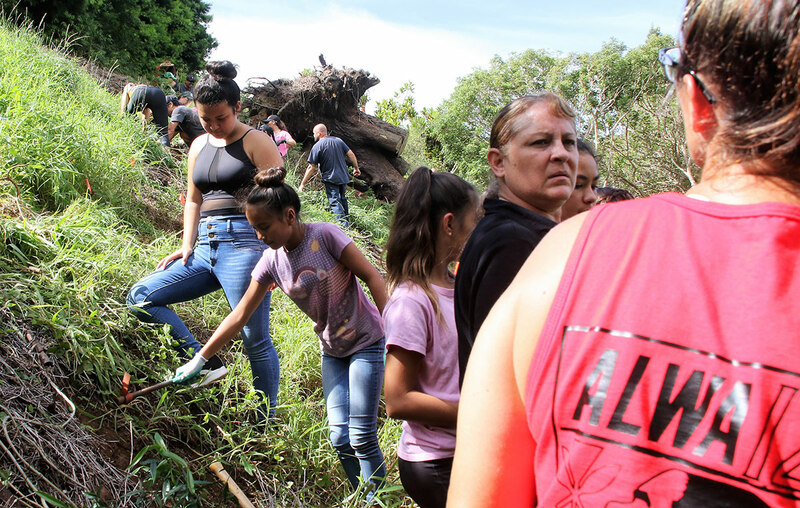 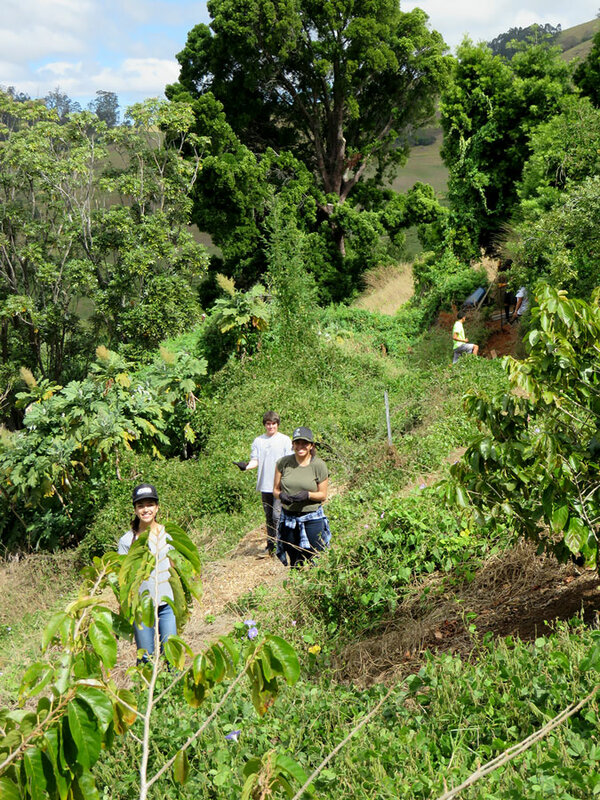 After a morning of work and picnic lunch, volunteers were treated with a guided hike visiting some of Maui’s rarest trees. 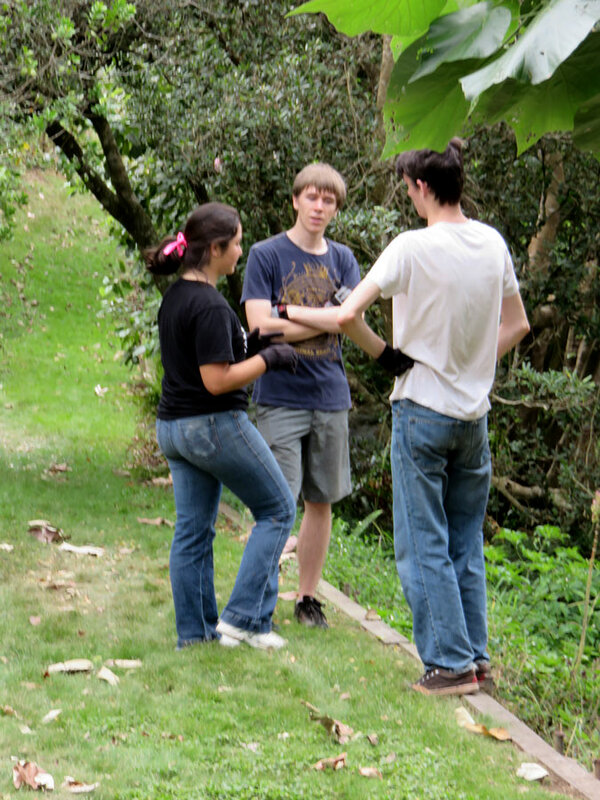 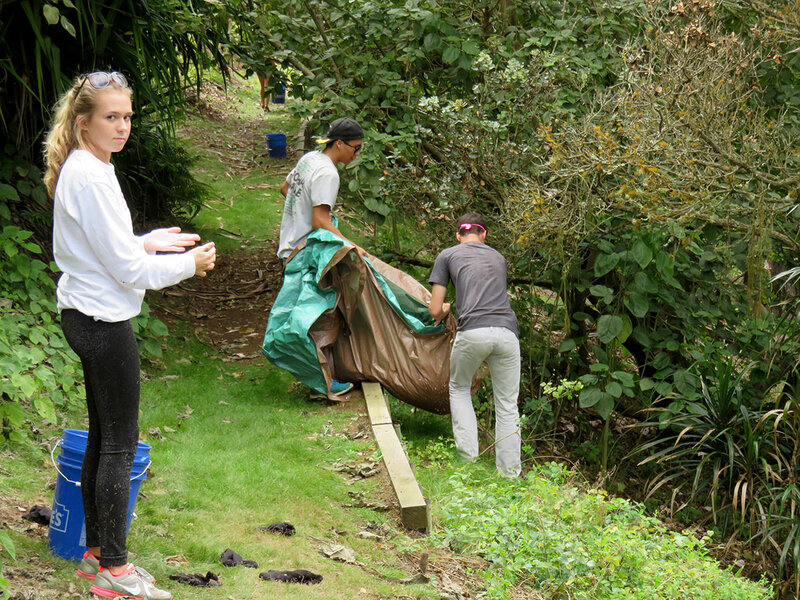 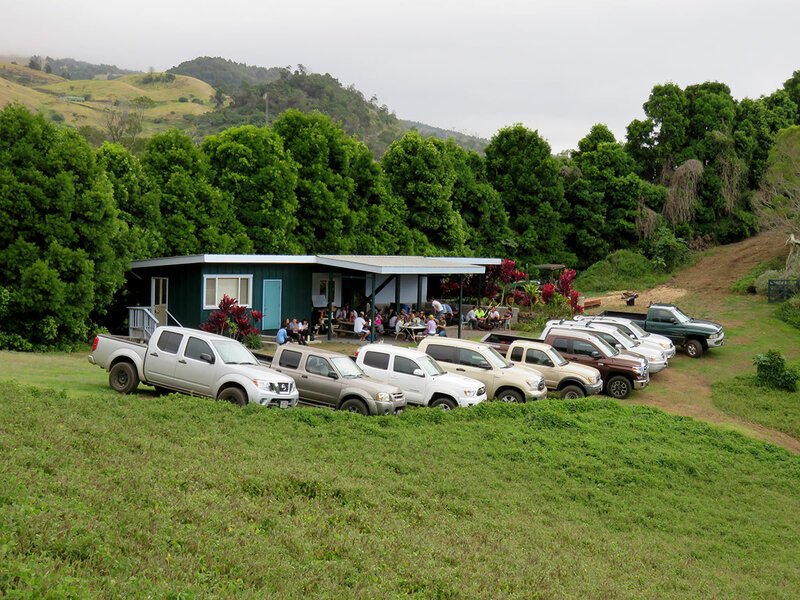 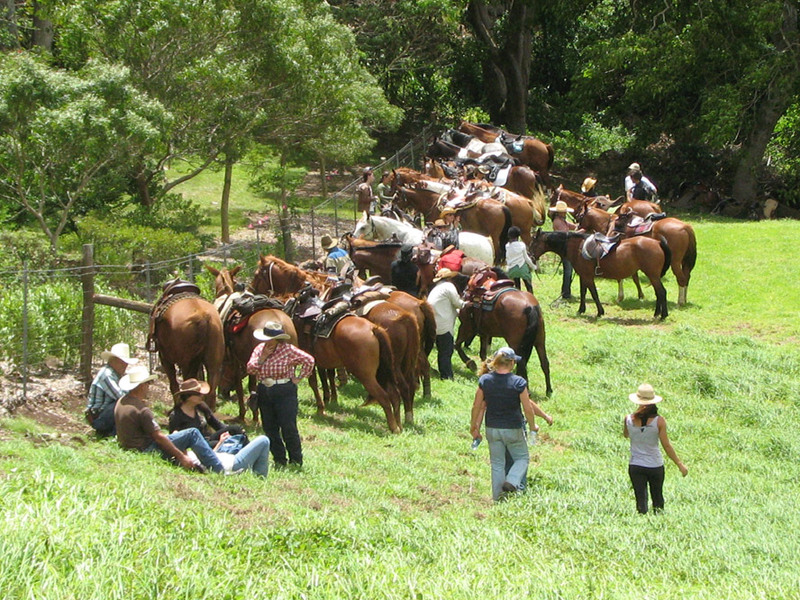 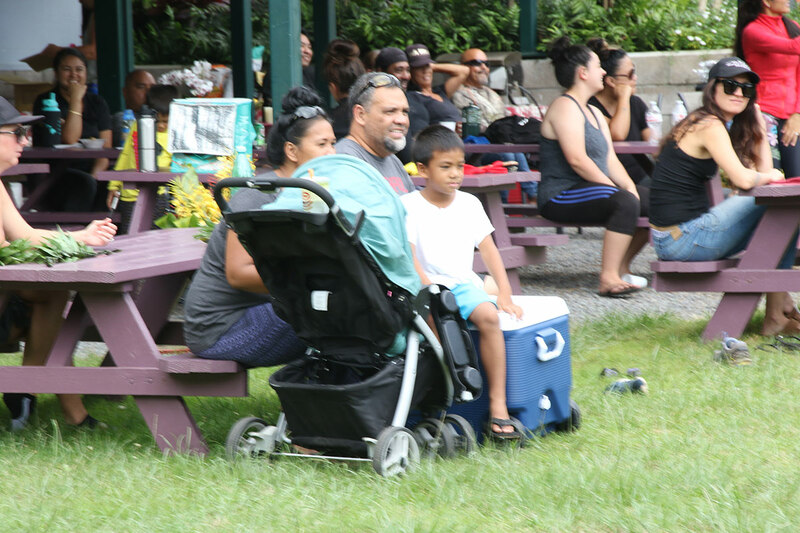 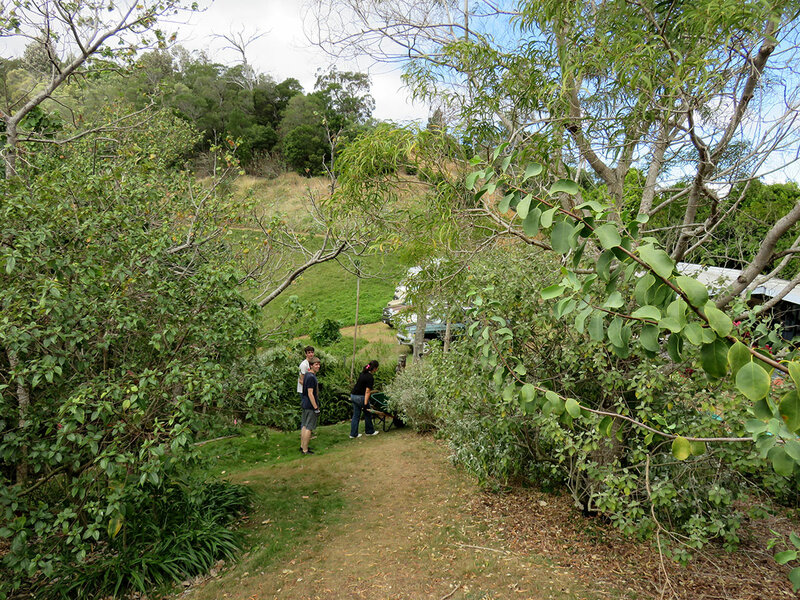 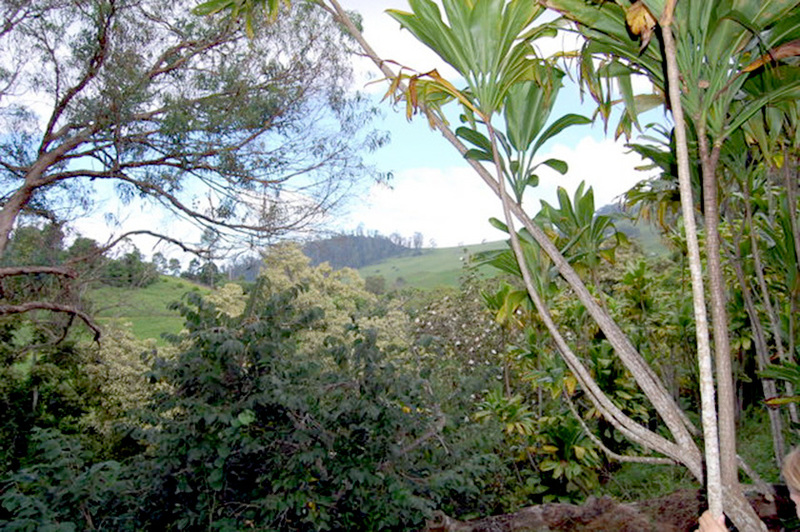 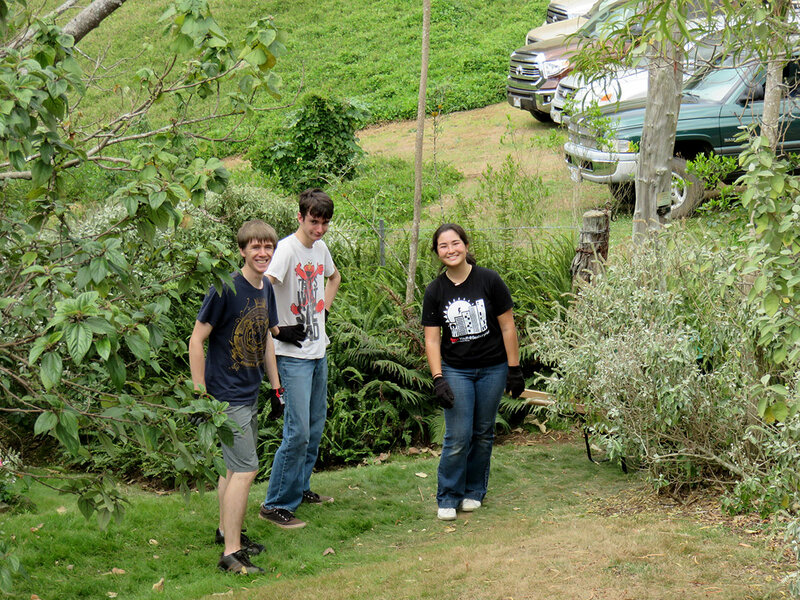 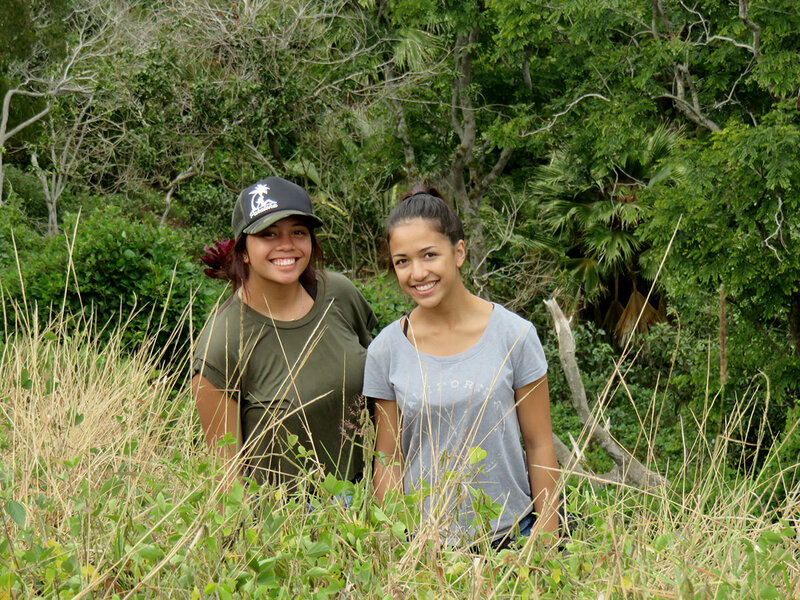 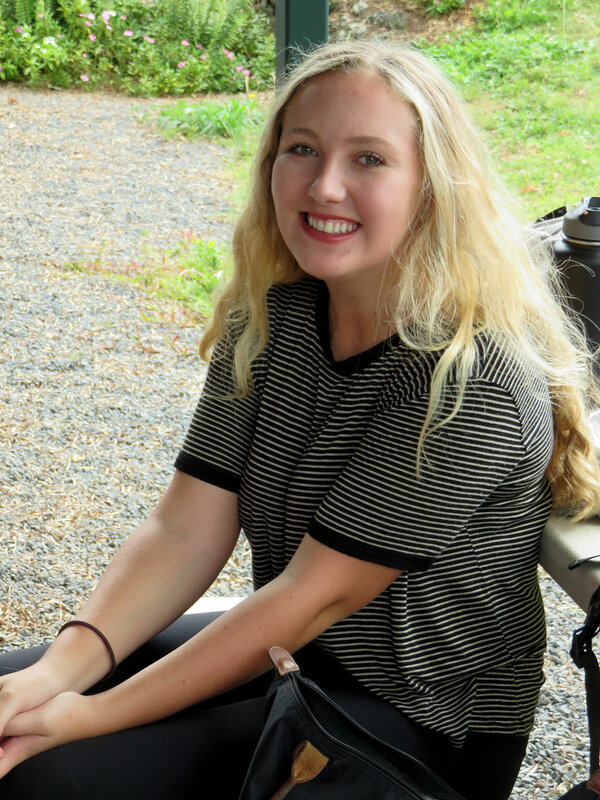 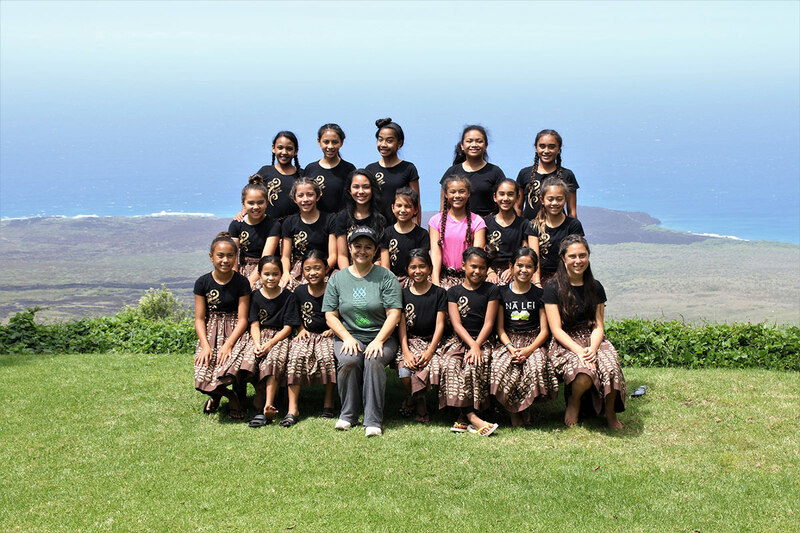 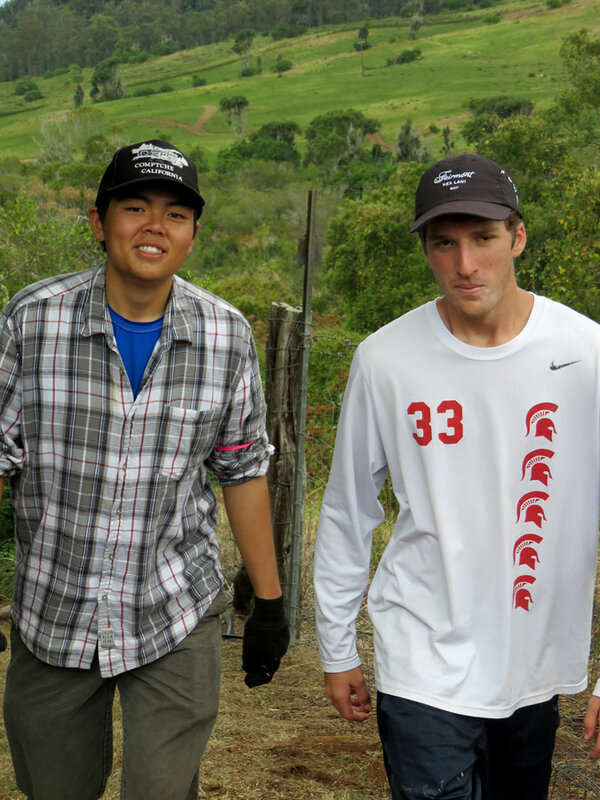 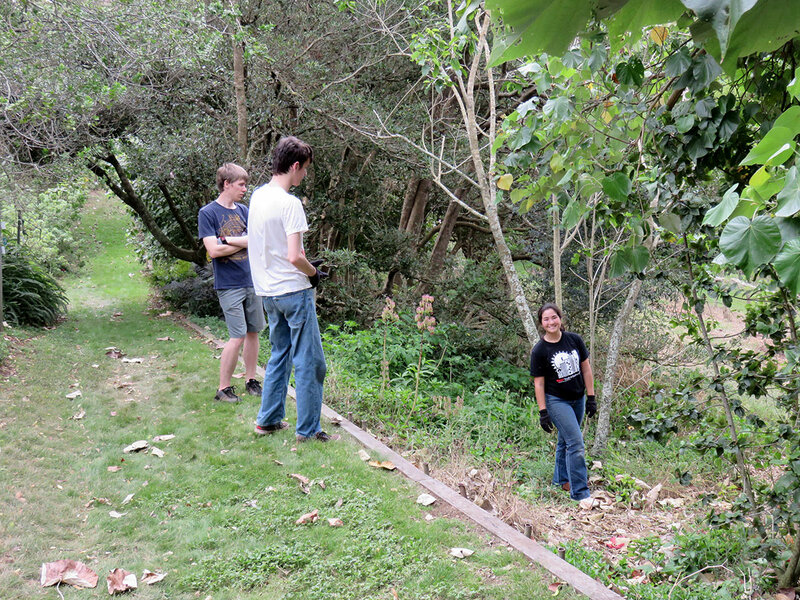 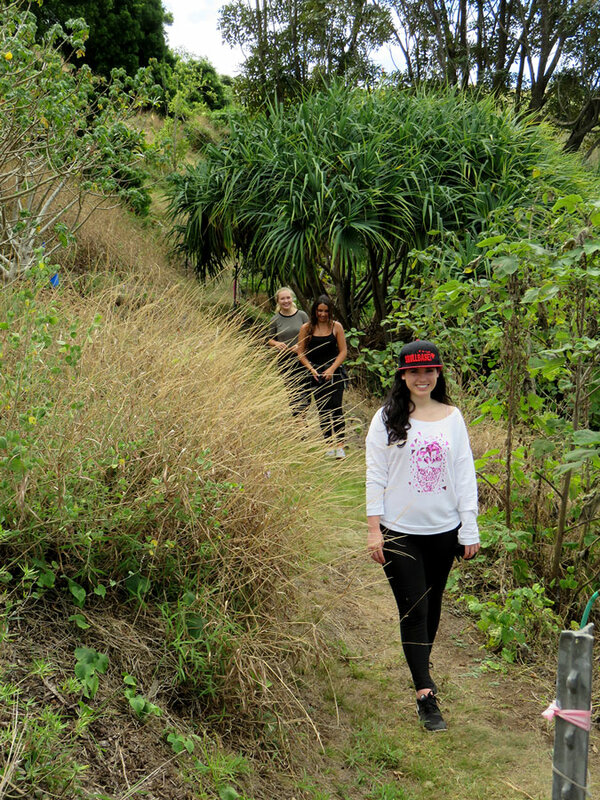 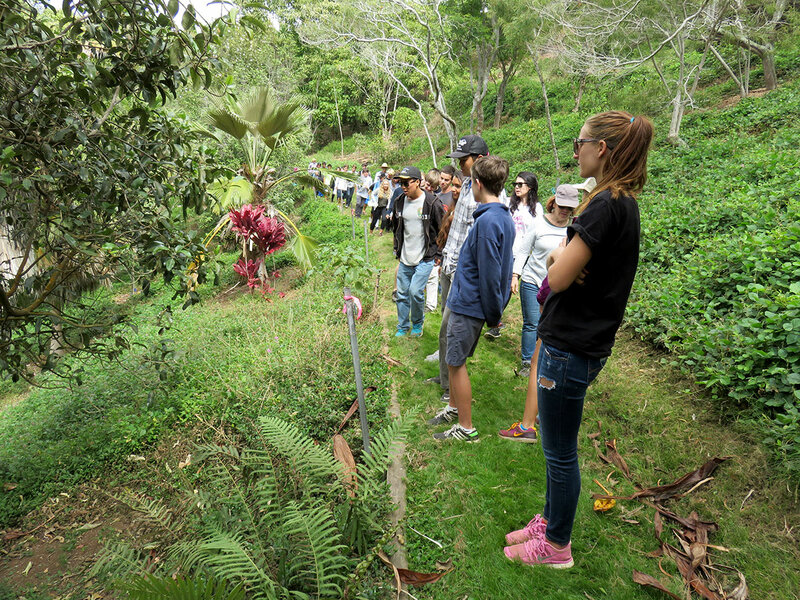 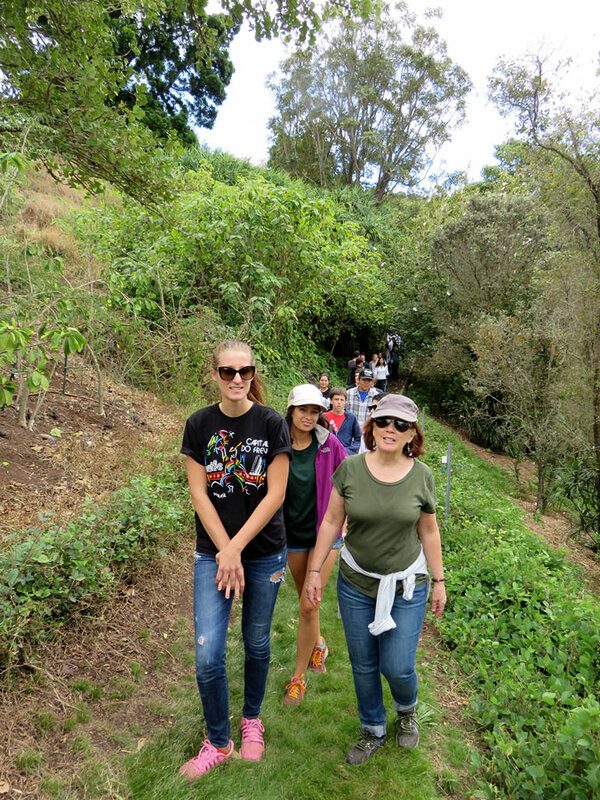 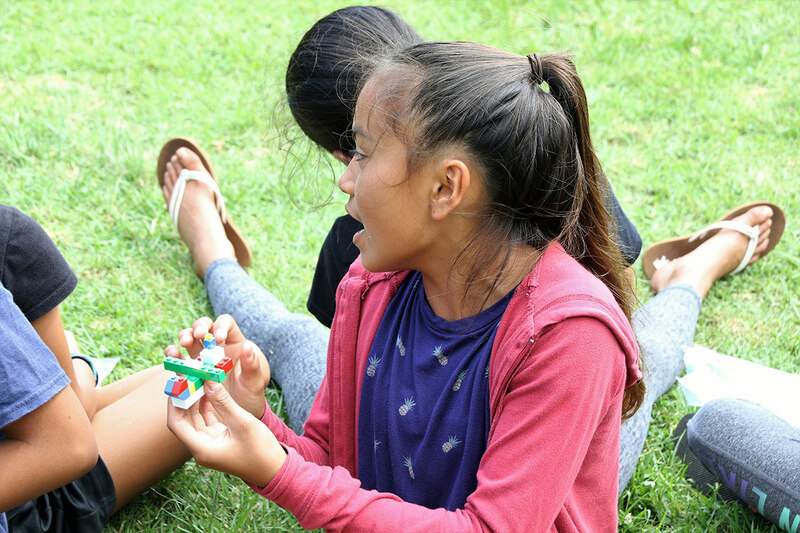 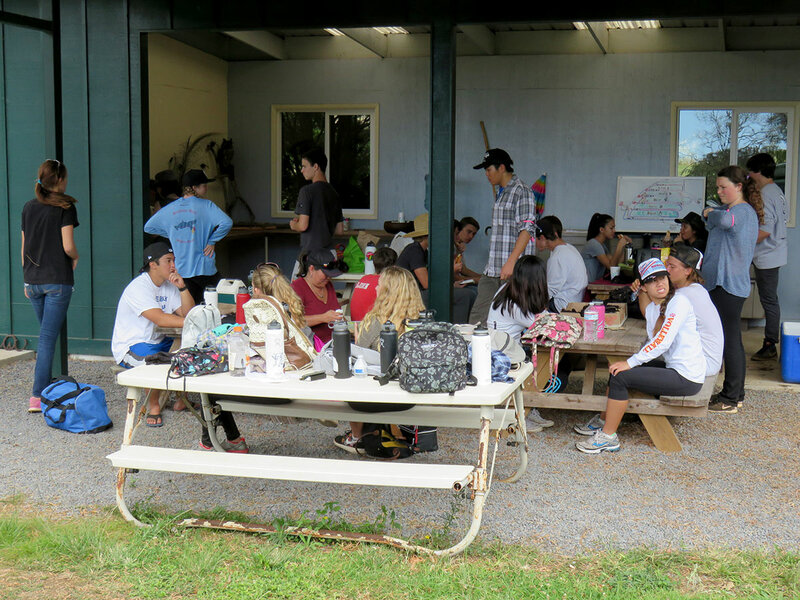 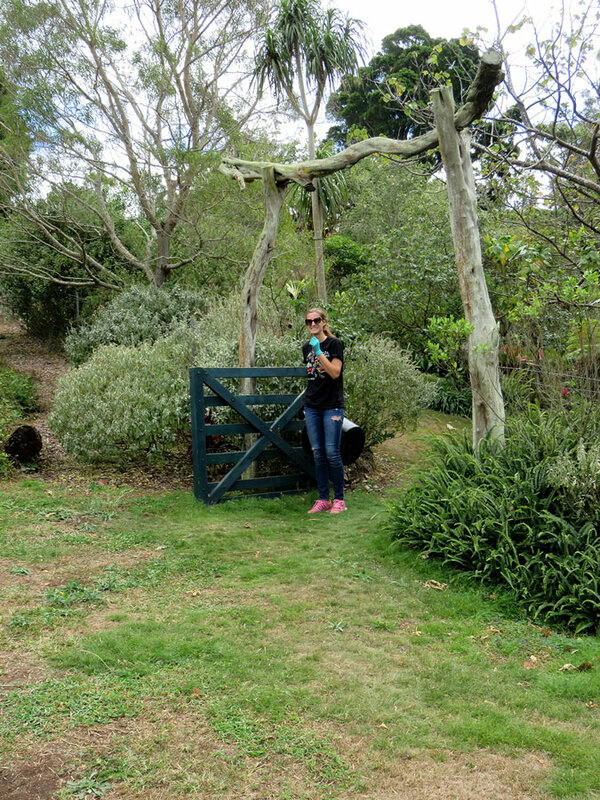 Team leader Lauralei Singsank (left in black t-shirt) described the Arboretum as “an incredible haven for both native plants and Hawaii’s history”.